FMI Wheelchair conversion Vehicles FMI was the first Manufacturer in the united states to produce a rear entry vehicle. Every other rear entry is just a copy. 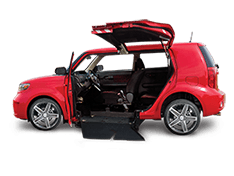 With over 30 years of experience in producing rear entry vehicles it's easy to understand why they are the rear entry experts. We are a full line exclusive dealer for the FMI brand. We offer all makes and models and DW Auto is the only place in Missouri that you can access this unique product line. We offer, Dodge, Honda, Toyota, Fiat, Scion, KIA, Element and more. 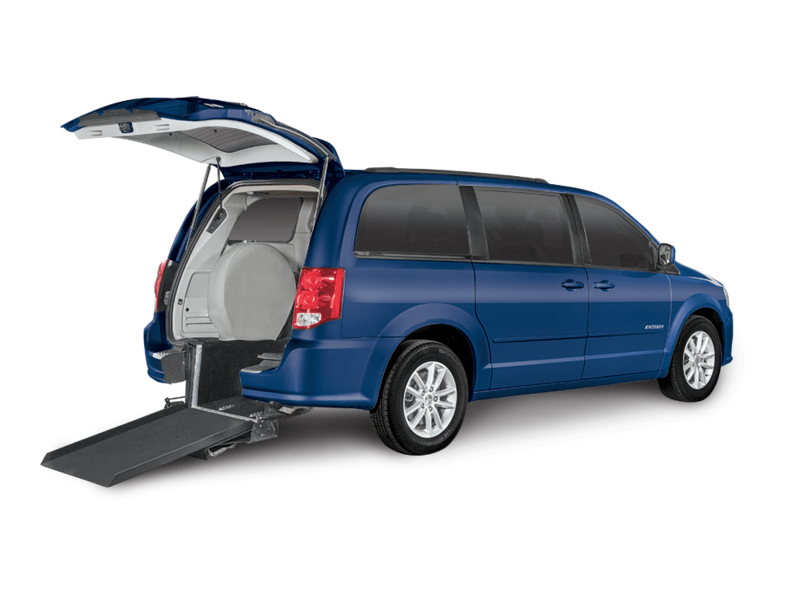 The Amerivan Eldorado Wheelchair van conversion is a lowered floor conversion allowing easy access to a mini van by a wheelchair user. Remote control power entry allows easy entry by all wheelchair users. 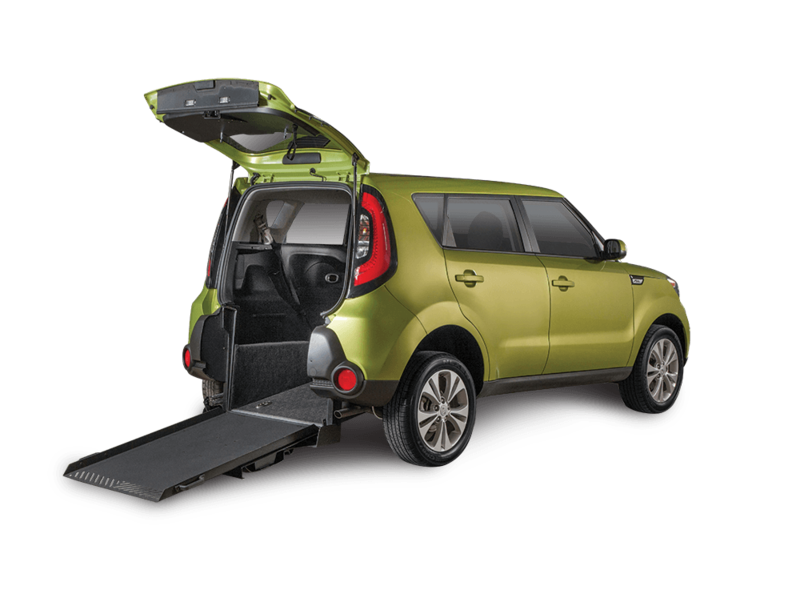 The lowered floor allows the wheelchair user to be a passenger or a driver, even from his or her wheelchair. Other modification can be added to allow for a wheelchair user to be completely independent with the vehicle. Adhering to the finest detail for quality and design the Amerivan is built to last. Every Eldorado National Amerivan has undergone strict testing and crash testing in order to meet or exceed all applicable US vehicle safety standards. 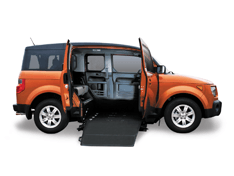 You can buy your Amerivan mobility conversion with confidence because it is built to last. To see specifications on the Amerivan click the highlighted text. 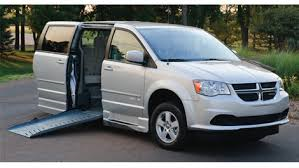 The Braun Entervan is a lowered floor wheelchair van available on the Honda, Toyota, Dodge and Chrysler vehicles. 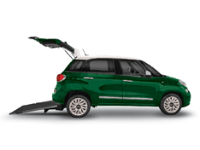 The wheelchair conversion comes in manual or power so that you can operate the conversion as a caregiver or an independent driver. We offer a wide range of vehicles with the Braun Entervan Conversion. If you don't see the exact vehicle you are looking for, please give us a call so that we can locate the perfect vehicle for you and save you thousands. DW Auto offers sales and service in Missouri. For the best selection and service from St. Louis to Kansas City MO, call DW Auto and Home Mobility. 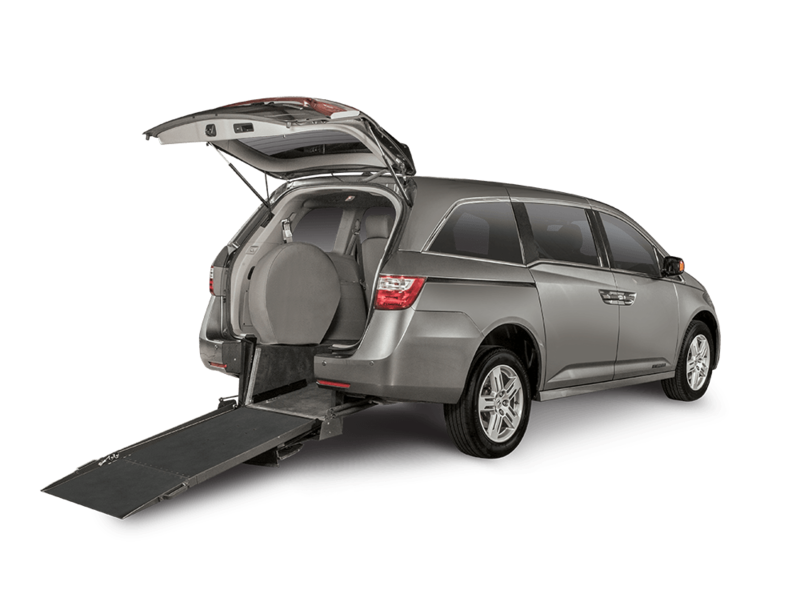 In addition to selling a full line of Wheelchair vans, we also buy Toyota, Honda, Dodge Grand Caravan, Volkswagon and more. If your interested in selling your Wheelchair minivan make sure you get top dollar. We can even consign your van making sure that you get market value. Give us a call and see how we can help you. 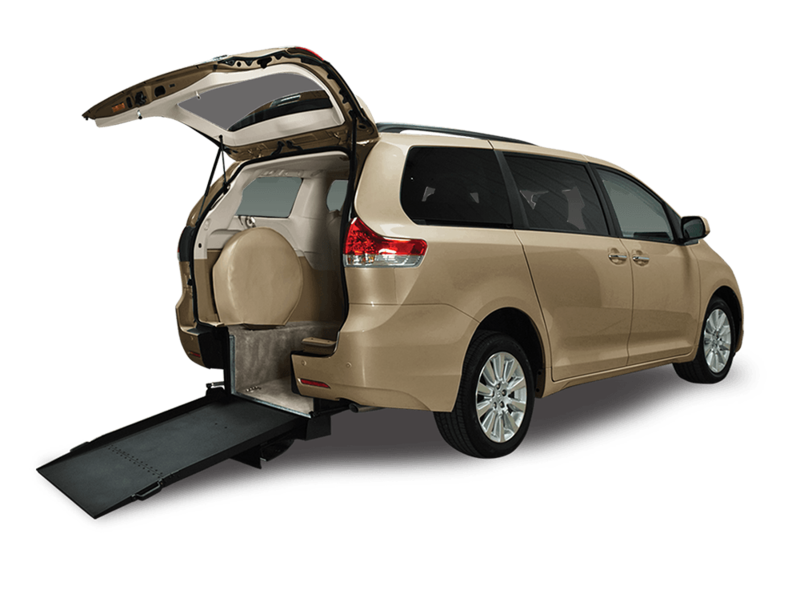 Another option for getting your very own Wheelchair accessible minivan is to convert a vehicle that you already own. 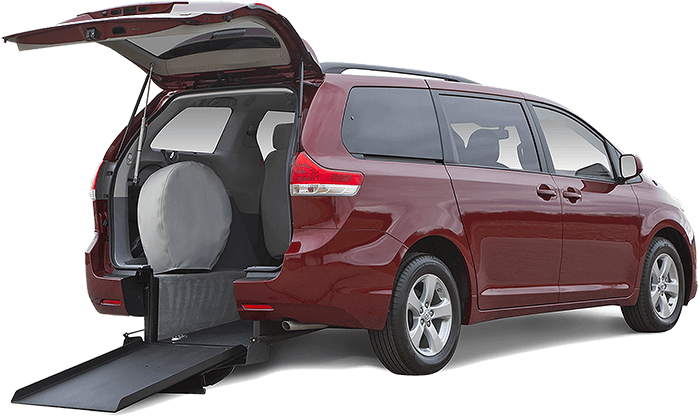 At DW Auto and Home mobility in Columbia and St. Louis, we can convert your Van from 2008 through 2014 into a Handicap wheelchair van. Simply provide us with the VIN to your car and we can give you an estimate. Once you approve the conversion it takes just 4 weeks to get your brand new Wheelchair Van. We offer complete Wheelchair mobility service by certified trained technicians. we service minivan conversions, lifts, driving controls and electronic driving controls. Contact our office for an appointment to reduce your wait time or come by and we will get you taken care of as fast as possible.